I am a sucker for beautiful desktop backgrounds. There’s something so calming to me about opening up my computer at the start of the day and being greeted by a lovely image. I’m also in love with anything that helps keep me inspired and organized in my business and my life AND that keeps me in the present. As part of this practice, I usually rotate my desktop backgrounds on a monthly basis, and recently I’ve been creating these backgrounds myself (graphic design is a stress-reducing hobby of mine). I’ve decided to share my monthly calendars with you in the hopes that they will keep you inspired, organized and in the present as well. I’ll be sending them to you each month and would love to hear what you think of them! Click the image above to go to the higher resolution version of the calendar, then click and drag the larger photo to your desktop. From there, for Mac users, right click on your desktop, choose “Change Desktop Background” and select the image that you just dragged to your desktop. For pc users, click the start button, then click on the Control Panel, then in the search box type “desktop background”, and then click “Change Desktop Background” and select the image. ALSO, there’s only one day left to win your free copy of Clean Plates LA 2015! Click right here to grab your chance to win. This is an awesome resource for finding clean, organic, sustainable, non-GMO fare right in your neighborhood, created by Jared Koch of Clean Plates. You get 10 additional entries when you share it with friends (yeah!!) so, if you haven’t yet, head on over and check it out! Free Guide to the Healthiest Restaurants! A common concern I hear from clients prior to starting a nutrition program is the foreseeable challenge around dining out, whether with friends or in a business setting. The practice of eating with others is interwoven in the fabric of our society and for me as a total foodie, such a lovely and pleasurable experience. So imagine my excitement when Jared Koch developed Clean Plates – a guide that tells health conscious eaters where they can find organic, sustainable, non-GMO fare right in their neighborhood. Today’s recipe makes for a perfect grab-and-go breakfast or a filling snack. Chia seeds are full of healthy fats, fiber, protein and calcium and pair well with just about anything due to their very neutral flavor. The longer you let chia seeds sit in liquid the more they will thicken, so if you like a thicker pudding then leave them in the refrigerate for a few hours before serving. Since the pudding will last in the fridge about 3 days, I like to make mine in batches to grab for easy breakfasts. This recipe, with its sweet mango and fruity blueberries, is great for kids as well. 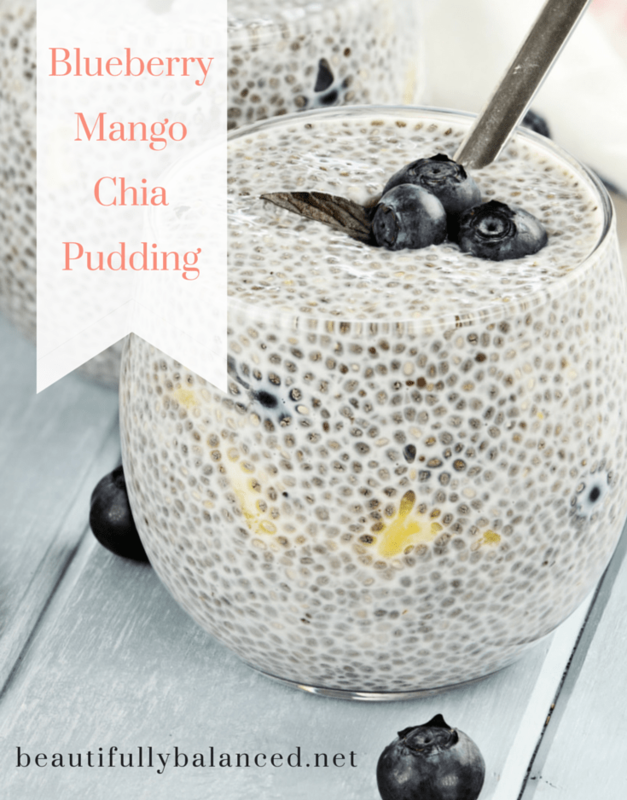 There are endless flavor variations you can do for chia pudding, so feel free to experiment with it! The average American spends almost an hour in their car for their daily commute (and if you’re a Los Angelino like me, probably way more). I don’t know about you, but most of my clients have a hard time finding half that much time to exercise each day. Isometrics (from iso- “equal” and -metria “measuring”) mean you’re not changing the length of the muscle (like you are when you’re curling a dumbbell toward and away from you). Instead, you’re just contracting the muscle without really moving it. It’s like this form of exercise was made for your daily drive, right? While holding the wheel, lift your back off of the seat and sit up straight. Inhale, then exhale as you twist to your right, keeping your face directed straight ahead. Hold the twist for 3-5 counts. Inhale as you straighten, then exhale as you twist to your left and hold for 3-5 counts. Repeat for 20 counts on each side. Sitting up straight, pull your stomach in as far as you can, like you are trying to connect your belly button with your spine. Hold for 10 counts and repeat 5 times. While holding the wheel at 9 o’clock and 3 o’clock, push inward against the steering wheel and feel the contraction in your chest and shoulders, holding for 3-5 seconds. Repeat 20 times. Focusing on one leg at a time, lift your heel slightly and tighten your calf muscle. Hold for 3-5 seconds and repeat 20 times per leg. If this is at all tricky for you to do with your driving leg without affecting your pedal pressure, just skip it. Kegel exercises are a great way to tighten up your lady parts and prevent accidently peeing yourself when you sneeze or jump on a trampoline. If you don’t know what muscles to contract for this, make yourself stop mid-stream the next time you pee. Those are the muscles to use. Guys actually have them too, so this exercise is great for both sexes (and can actually result in stronger orgasms for everyone too – win-win). Squeeze your buns together as much as you can and hold for 10 seconds (you’ll feel yourself rise up an inch or so). Repeat 5 times. Don’t feel lame when you’re sore from these the next day. Of course, focusing on the road is the most important thing to do while you’re driving. You don’t have to take your eyes off the road while doing any of these, which makes them safer than a lot of other things people do while driving, but if you’re the kind of person that has a hard time doing two things at once, I wouldn’t recommend them. For the rest of us multi-tasking mavens, try doing these 6 exercises each day for two weeks and see what you think! 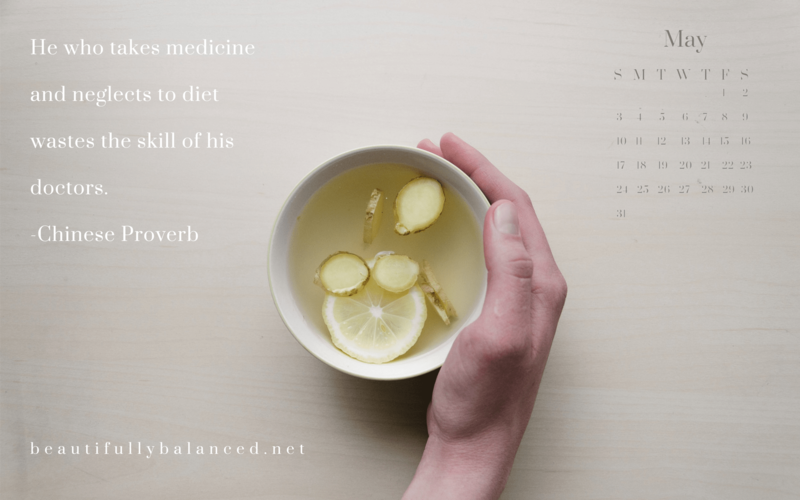 In the fast paced, caffeine-fueled, sugar-shocked culture we live in today, our adrenals are taking one of the biggest hits. Your adrenals are the two triangular-shaped, 3”-long glands that sit on top of your kidneys (ad- “to” + renal “kidney”). You can find them by putting your hands on your hips with your thumbs in front and fingers in back. Slide your hands up until your pinky finger touches the bottom of your ribcage. They are right around there. Need to Cut Back on Coffee? Use This. A steaming mug of coffee in the morning can be so incredibly satisfying. Unfortunately, coffee is not your friend if you (like most people) already have tired adrenals, blood sugar issues or hormonal imbalances. 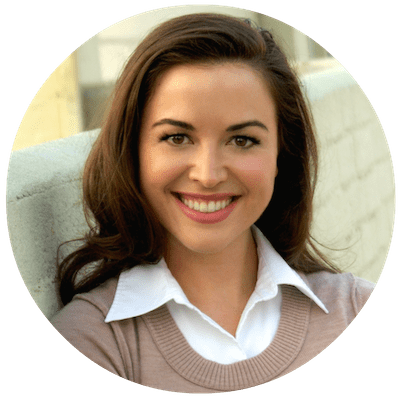 Your adrenals become worn out by things like stress, a demanding schedule or having habitually relied on stimulants – like coffee – for your energy. Blood sugar issues might manifest as getting shaky between meals or having inconsistent energy levels throughout the day. Out-of-balance hormones can show up as PMS, acne or mood swings. 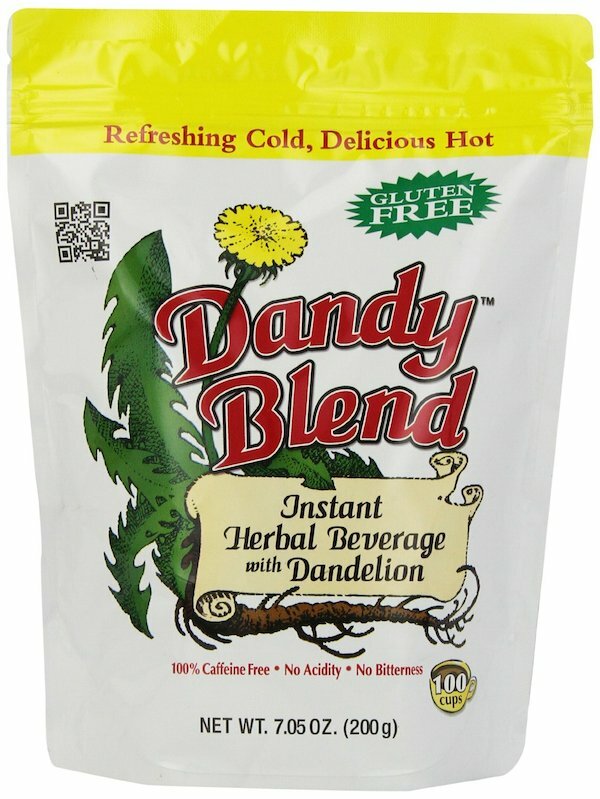 If you know you need to cut back but don’t want to give up that morning (or afternoon) ritual, try Dandy Blend. It’s an herbal coffee substitute… that actually tastes like coffee! It derives its full-bodied flavor from things like chicory and dandelion root (hence the name). As a bonus, dandelion is great for your liver and chicory promotes healthy digestion. Plus, while coffee leaches minerals from your bones, Dandy Blend actually provides over 50 trace minerals per cup. Pretty great, right? You can read more about it right here. The roasted roots create a natural sweetness, so I don’t find that it needs any added sweetener, but you can add a few drops of stevia if you’d like. Experiment with it on your own – I’d love to hear any recipes you come up with! Drop me a note on Facebook and let me know. Growing up in Texas and having lived in Los Angeles for the past 10 years, the word “winter” doesn’t mean all that much to me. However, my sister moved to Chicago a few years ago and after visiting her for a few winters at this point… wow – I have a newfound respect for those of you that have to deal with that kind of weather each year. Regardless of where you’re living, these tips will help get your skin glowing year-round. Are Last Year’s Resolutions Standing in the Way of This Year’s? Do you have a list full of resolutions for 2015 but some hesitation on how you’re going to get them all done? Perhaps you are feeling just a little overwhelmed by the things that didn’t get done in 2014?